I was travelling between Karawanella and Rajagriya few times in the past month and had few opportunities to visit places close to Karawanella. 1st day I went to Yatiyanthota and took the Seaforth road. 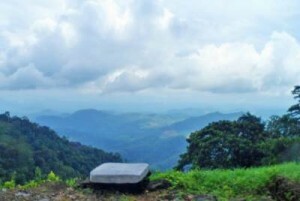 Seaforth road winds around villages and rubber plantation areas and Wee oya providing unique views. Though this road is not carpeted, it can be easily navigated by a car. This is kind of an old story but I thought to note down my experience. 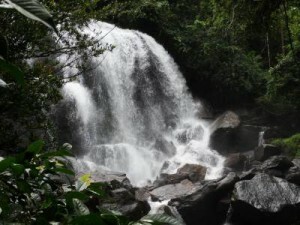 We wanted to get an experience of these small waterfalls in Bulathkohupitiya and Yatiyanthota area after rainy season. Ashan has been there before with Harinda and Sri. That report was our guide. I met Anupama (who came by bike from Kurunegala) at Awissawella and we headed towards Yatiyanthota via Awissawella-Hatton (A-7) road. Then we drove along Yatiyanthota-See forth road. 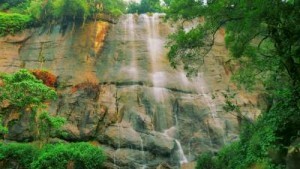 It was nearly a year and a half since we (Ashan, Amila, Hari and me) went on a bike tour covering Yatiyanthota-Seepoth and Parussella-Dedugala roads and saw many waterfalls. There were more than a dozen of them at the time making me think that the waterfalls headquarters were here. What’s more, there’s no need to go for treacherous hikes searching for these beauties as they’re more or less located either by the roadside or with a short hike. So you’re blessed to go see more than a dozen of gorgeous falls within less than 12 hours that is something you won’t get anywhere else. So, having done it once didn’t stop me from getting back again. The intermittent rains made the thought more appealing and I managed to find Atha to accompany me after a numerous put-offs.